Are you considering buying Rosetta Stone to learn a new language with your kids? My family is using Rosetta Stone to learn Spanish in preparation for our upcoming monthlong stay in Mexico this summer. I also used this language program to brush up on my French skills before a recent trip to France. Here’s what you need to know about Rosetta Stone languages and this using online learning system. This story is brought to you in partnership with Rosetta Stone. Rosetta Stone comes in 28 languages. Plus, learners can choose from different versions of English (British or American), Spanish (Latin America or Spain). Back in the day, Rosetta Stone was all about CD-roms. My computer doesn’t even have a CD-rom drive so I’m happy to say those days are over. Nowadays you buy an online subscription instead. It works on both Macs and PCs. 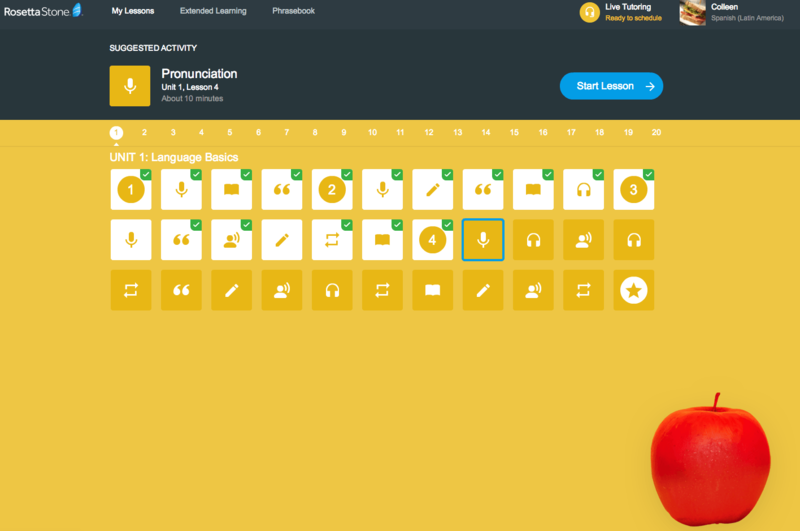 You just go to RosettaStone.com, choose the language you want, and you’re ready to get your language learning started! The main thing holding me back from purchasing Rosetta Stone in years past was the cost. Once upon a time, the cost of a full-set of Rosetta Stone language CD-roms could cost more than $550. Thankfully, pricing has improved significantly. The longer your subscription, the better the monthly pricing, too. 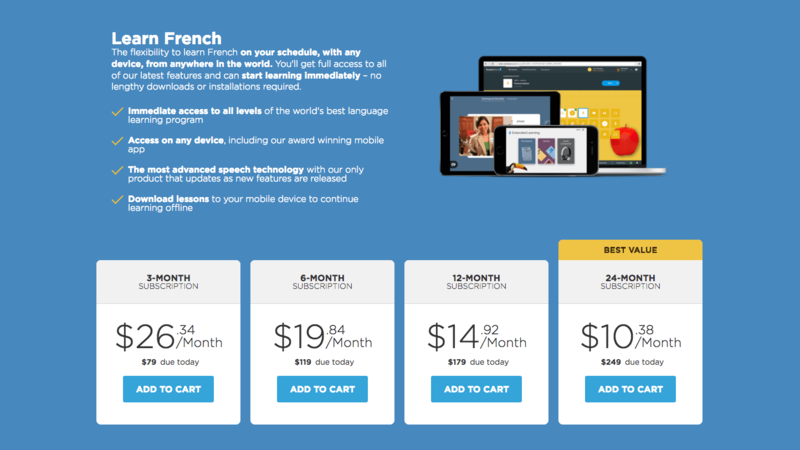 Choose from 3-month, 6-month, 12-month, and the best deal, a 24-month subscription. Alternatively, you can sign up for just a few months at first to see if Rosetta Stone is a good fit for you. 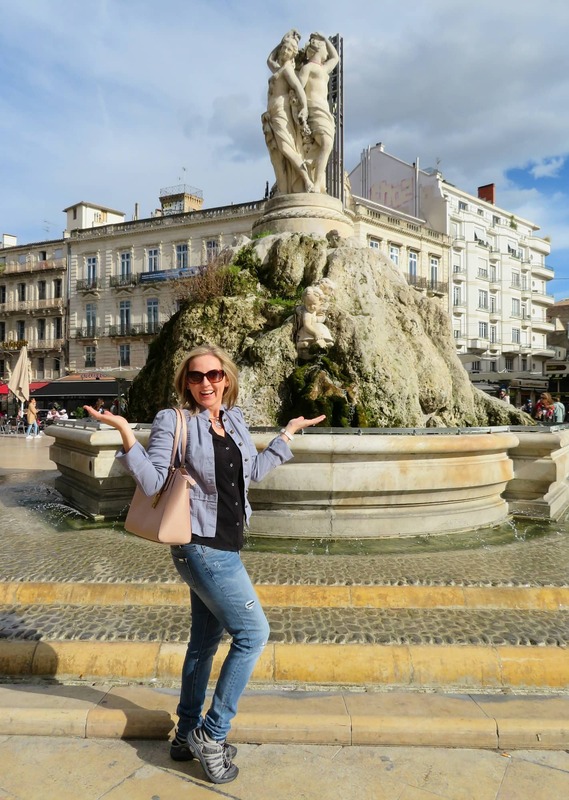 If you want to learn some phrases in a particular language for an upcoming trip, but don’t necessarily feel like attempting to become fluent, you may want to start with a 3-month plan. That’s what I did to prepare for our France trip. Try Rosetta Stone with a 3-month subscription. For me, Rosetta Stone feels like an online puzzle or game. 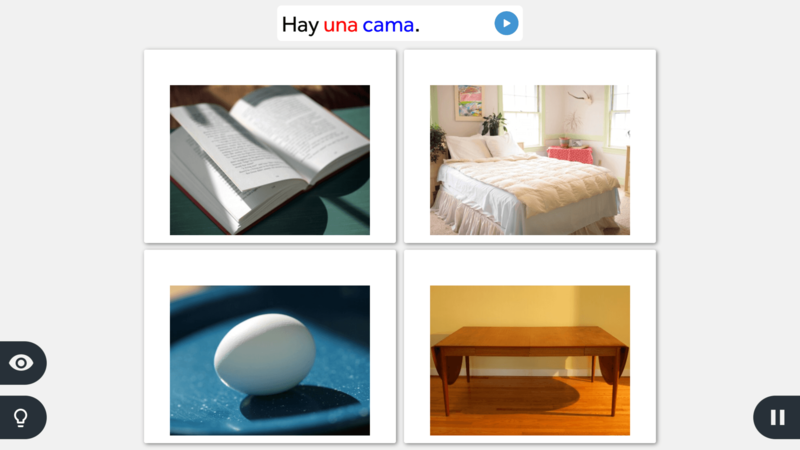 You’ll match pictures to the correct words and fill in blanks. My favorite part, though, is speaking out loud the words and phrases I’m learning. Maybe that’s because I like to hear the sound of my own voice?! After starting with nouns, you move up to adjectives including colors and numbers, and eventually on to verbs. Honestly, it’s a lot easier and more fun that the boring rote memorization I experienced in high school French class. If you get stuck, online tutoring is available too but my family has not made use of this option (yet). Along with learning on your computer, your online Rosetta Stone subscription comes with a handy app for your smart phone, so you can practice your language skills anywhere. Just pop on some headphones and you’re good to go. If using the app around other people and you don’t want to cause a commotion, just disable the microphone and Rosetta Stone will modify the portions of the lessons for which oral responses are required. Before my recent trip to France with my two kids, I figured I should brush up on my French skills. I lived in France for a year during college and I was a French major. But college was (ahem!) years ago and I don’t get to use this skill in my everyday life. Since I (mostly) already speak French, I skipped the first unit all together. It was amazing how quickly my French-speaking skills came back after just a few sessions. Rosetta Stone even helped me remember how to conjugate various verbs, always my biggest language stumbling block. Truly, I felt so much more at ease speaking French upon our arrival in Paris than I would have if I’d gone there without brushing up with Rosetta Stone French. My family wants to move to Mexico. Unfortunately, my husband’s job won’t let us live that dream…yet. For now, we’re thrilled to be headed to San Miguel de Allende for a whole month this summer. There’s just one problem. We don’t speak Spanish. Rosetta Stone to the rescue! Even my 10-year-old has had success “playing” Rosetta Stone Spanish. It took him a little while to understand how to answer the questions, but he eventually caught on after a bit of explanation from mom. The biggest challenge for him is slowing down. He’s used to playing fast-moving video games and sometimes he just wants to click, click, click rather than pause to think before he selects an answer. Just as my Rosetta Stone French sessions improved my abilities and confidence before our vacation in France, I know Rosetta Stone Spanish will do the same for our whole family before we fly to Mexico this summer. 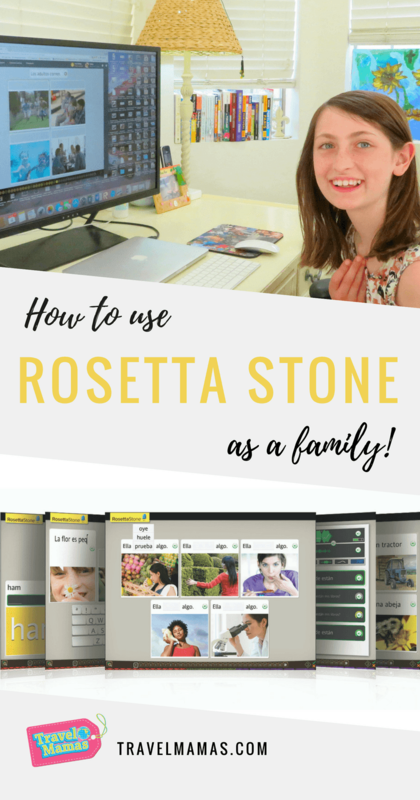 There’s also Rosetta Stone Homeschool, created specifically for homeschooling families and parents who want their kids to learn a new language at home. I did not try the homeschool option, but my kids did just fine with the “grown-up” Rosetta Stone version. If your kids can read, type and play video games, I’d say they can learn with a standard Rosetta Stone subscription. Decide for yourself by taking a look at the Rosetta Stone Homeschool subscription. Whether you want to become totally fluent in a new language, brush up on rusty language skills, or just feel more comfortable conversing with locals during an upcoming foreign vacation, I highly recommend Rosetta Stone. Not ready to take the plunge yet? Read these compelling reasons to learn a foreign language and then sign up for a free 3-Day trial with Rosetta Stone. You can even try a Free Demo. Now you have no more excuses! Which language would you like to learn with Rosetta Stone? Do you have any questions or feedback about Rosetta Stone that you’d like to share? Let us know in the comments below! 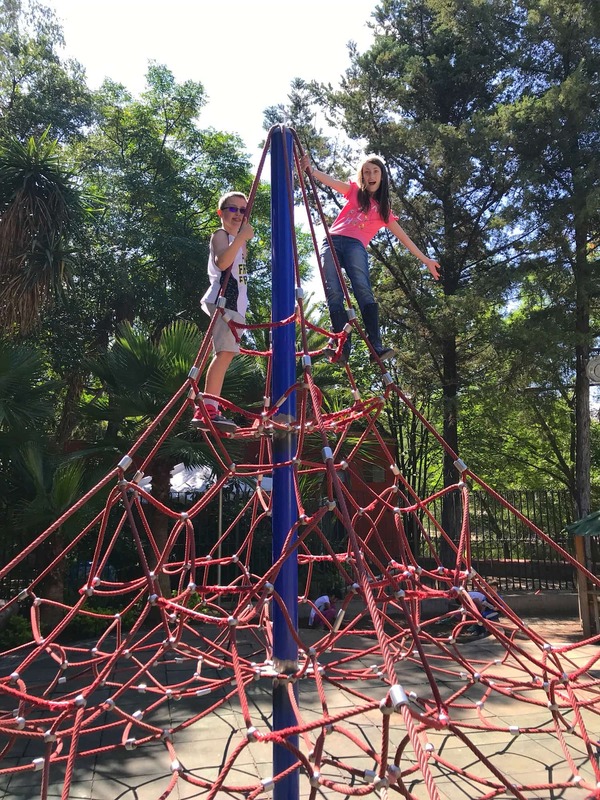 A Note from The Travel Mama: I received a free subscription to Rosetta Stone Spanish and I received monetary compensation related to this story. I also paid for a subscription to Rosetta Stone French with my own money. I am only able to speak two languages English and Hebrew but it comes in handy in a lot of situations. My son is learning a little Italian in school but I want him to learn Spanish so I might look into Rosetta Stone , it seems so kid friendly. Two is better than one! And it must be fun to use your Hebrew during visits to Israel! I am trying to brush up on my French before our European vacation this summer. I took 3 years in high school but forgot most of what I learned that long ago. I think getting Rosetta Stone would be really helpful in helping me remember so I can speak with the locals on our travels without looking like a fool. Theresa – Locals always really appreciate when visitors at least attempt to speak some of the local language. I hope Rosetta Stone helps you prepare for your European vacation. So exciting! This is fantastic! Aside for English, I am also fluent in Mandarin. but what I want to learn is how to read and write in Mandarin. It is difficult to learn to properly write those characters. I am wondering if Rosetta Stone offers that too. I will have to check on it soon. I can’t vouch for the Mandarin version of Rosetta Stone, but I know that it is offered. If you decide to use Rosetta for Mandarin, I’d love to hear your thoughts! I am a huge fan of Rosetta Stone and heard great things about it! I am hoping to teach my kiddies french and will have to look into this program. It’s such an easy and fun way to learn a language! Good luck, maman! I dont have a family with kids but I definitely would like to do Rosetta Stone for Spanish. I need to brush up on my Spanish more! Rosetta Stone really helped me remember my college French. I bet you it’d be great for brushing up on your Spanish. With the free trial program, you might as well give it a shot! my sister has learned Swedish and has a great paying job as a result. I think kids should learn as many language as possible when they’re young and apply for the proper jobs. Do you need to have more than one license for multiple children? Or can they share? We have just one subscription to Rosetta Stone that we use for the entire family. You can choose which lessons you want to do and retake them or skip them as much as you want, so you should be good to go with just one license. Happy language learning!